Use your time, talent, and treasure to become a CoThinkk Member. With your gifts, we create a more equitable Western North Carolina. CoThinkk catalyzes positive impact for communities of color by giving, innovation, and real relationships. CoThinkk holds an intentional commitment to shared leadership and decision making by African American and Latinx leaders. Anyone is welcome to become a member after they read and understand the membership requirements and agree to the CoThinkk covenant. 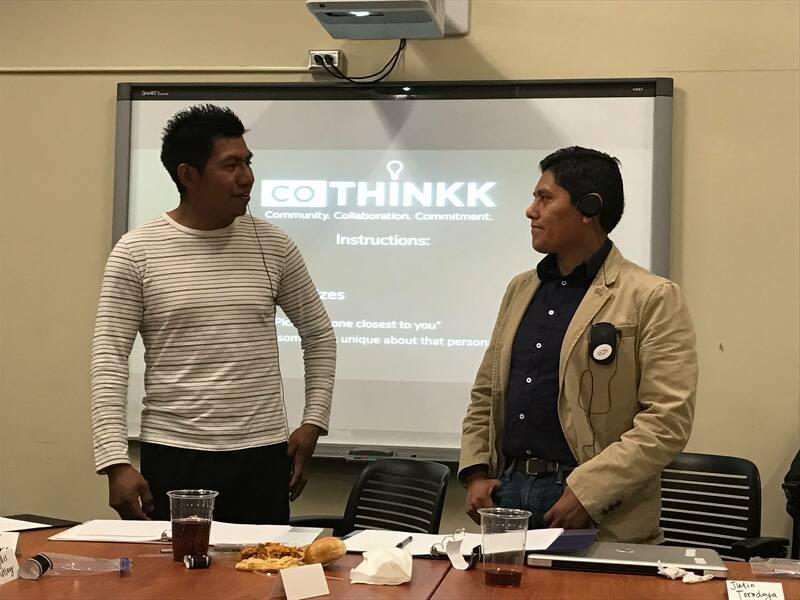 African Americans and Latinx community members are strongly encouraged to join CoThinkk. 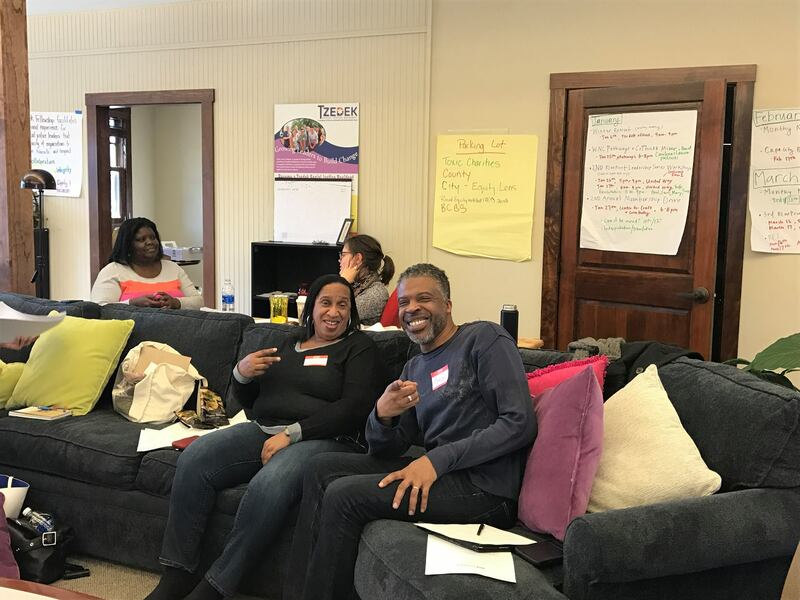 With shared resources, the CoThinkk giving circle assists communities of color through grants, leadership trainings, networking opportunities, and other gifts. There are a lot of different initiatives, meetings, conversations, and ongoing planning throughout the year. Monthly meetings are usually held on the second Saturday of the month, in addition to other meetings that directly serve the community. 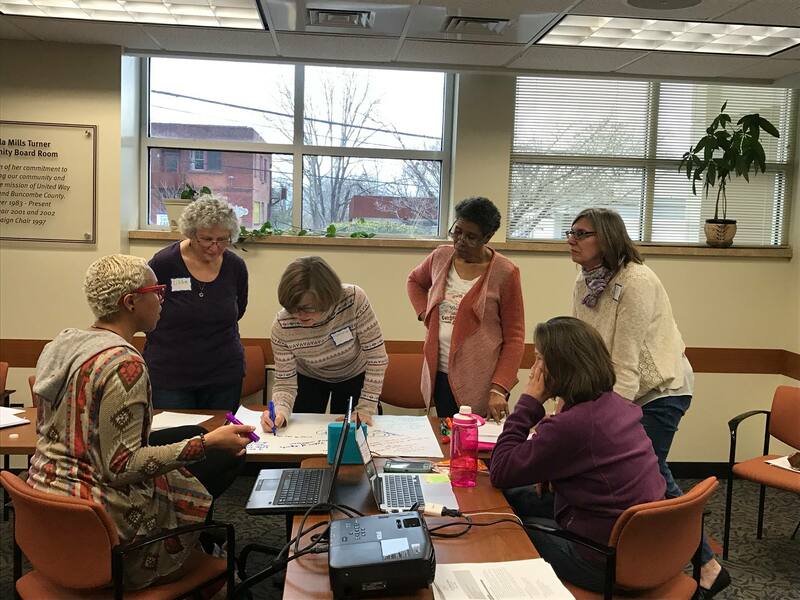 Many members choose to serve on a committee and work together outside of monthly meeting times to prepare necessary tasks. Members are asked to contribute a minimum 40 hours/year. Each member has their own unique background, experiences, gifts, and professional training. At CoThinkk, we are stronger with diversified abilities and skills. Just about everyone can contribute their unique gifts to increase CoThinkk’s capacity to serve. Unique talents include grant-writing, fundraising, facilitation, tech, design, the arts, networking, education, law and policy, multi-media, translation, research, health, and so much more. The treasure each member gives directly impacts the positive change that is possible for African American and Latinx communities. 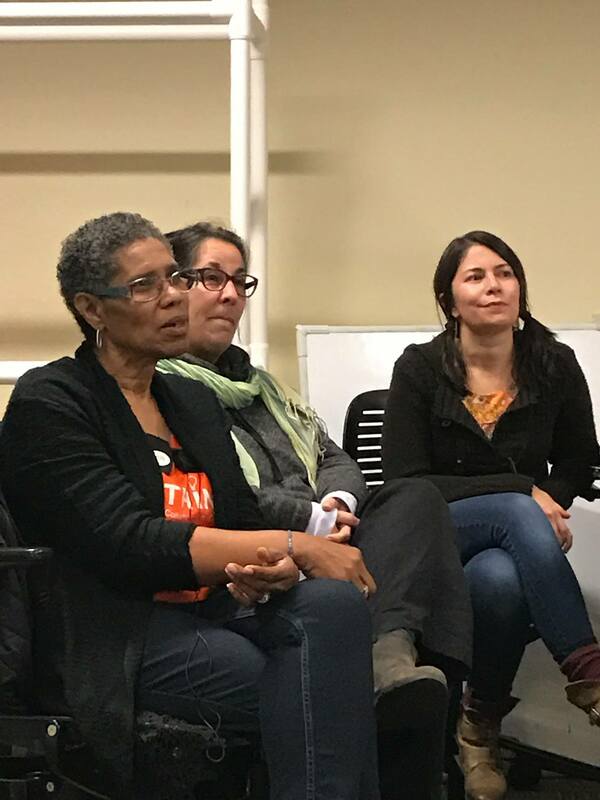 CoThinkk member’s monetary contributions are collected for grant money that serves leaders of color in ways that traditional funding often misses. This innovative funding approach of dollars raised from the community and by the community creates a dynamic process for how we value and foster positive change. Membership fees are $250/annually or $21/month. By investing into one another, CoThinkk creates a community of leaders that share their passions for an equitable WNC. 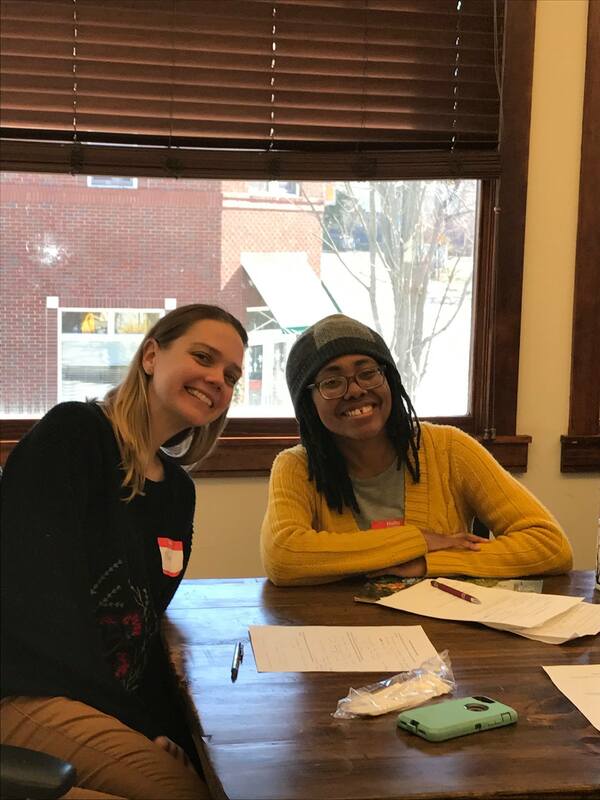 CoThinkk members abide by a group covenant and uphold the CoThinkk mission by their generosity, respect, willingness to learn, creativity, friendship, and value for social justice. Share commitment. Collaborate. Learn. Be in Community. CoThinkk is a powerful and growing giving circle that achieves meaningful and innovative impact with the genuine relationships fostered by its members. The investment of true commitment, sincere collaboration, and real relationships sustain CoThinkk and nurture a rich community full of many benefits and joys for those actively participating. We highly value one another and treat one another with respect. We will work to keep communication open, honest, and clear. We will support and encourage one another at all times. We will seek to help one another discover and develop our potential. We believe that CoThinkk will be stronger as we share together to meet our goals. We believe personal accountability is the key to greater organizational effectiveness. We will keep our priorities before us and be good stewards of our time, talents, and treasures. Make a Difference. Become a CoThinkk Member. Enroll as a CoThinkk Member and pay your annual dues in 12 monthly installments. You will receive a reminder email to pay each month. By working together CoThinkk is able to send more funds into community needs. Your contribution to CoThinkk will be processed through Stripe by our fiscal agent, Eagle Market Street Development Corporation CDC. Your statement will show a transaction with Eagle Market Street in the amount of your contribution.